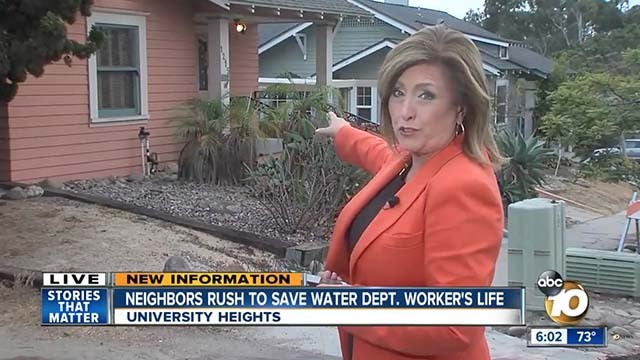 A 79-year-old man accused of shooting a city of San Diego Water Department supervisor in charge of a crew trying to restore water to the defendant’s University Heights neighborhood on Labor Day pleaded not guilty Thursday to three charges, including attempted murder. Nathan Brogan was ordered held on $1 million bail in the shooting Monday evening that seriously injured Lacarter Washington, a 30-year veteran of the water department. Deputy District Attorney Matthew Greco said Washington was in uniform and wearing a bright security vest, assisting a crew trying to restore water to residents on Meade Avenue after a water main break, when Brogan came out onto his front porch and allegedly fired one shot from his shotgun. Good Samaritans came to Washington’s aid, but Brogan allegedly put his shotgun in the house and did nothing to help the victim, Greco said. Washington suffered serious injuries to his right side, including a shattered humerus bone in his arm, the prosecutor said. Brogan told police he believed someone was trying to break into his house. When police went into Brogan’s home to retrieve his shotgun, they found many other firearms inside, Greco said. Judge Maureen Hallahan told the defendant that if he makes bail, he is not to possess any weapons. The defendant — who had no prior criminal record — faces 34 years to life in prison if convicted of attempted murder, assault with a firearm and shooting into an inhabited dwelling, the prosecutor said. A readiness conference was set for Sept. 17 and a preliminary hearing was scheduled for Sept. 19.